Whether you drive a modified car, a hot hatch, or just a 'regular' car, you'll know that many insurers rub their grubby hands with glee when they hear your age. And if you drive something with a bit of poke, you can bet they're breaking out the crystal in celebration of the massive wodge of your cash they're about to get their grasping fingers on. And if you've had the nerve to spend your hard-earned money on making your car the envy of your manor, you've probably heard them suppress a snigger as they tell you that they won't cover your mods, and will only give you 'market value' if some muppet writes off your pride and joy. Well, here at Adrian Flux, we agree. When you ring us, you can be sure that we'll pull out all the stops to get you the best deal. We know that the other insurers have got modders all wrong, because drivers who love their cars as much as you do, take extra special care of them and that means you're less likely to make a claim. We also know that, given the choice, thieves prefer to take inconspicuous cars like your dad's dark saloon, rather than a blinged up hatchback decked out in lime green with gold sparkle. And because we know all this we can give you a cheaper quote. What's more, when you call us, you won't get a computer rate in a Calcutta call centre. You'll be speaking to a knowledgable car enthusiast, fully clued up on all the latest gear and mods - and when you get your quote you can tell those other insurers to Flux right off! These genuine example quotations on some typical vehicles give some idea of how competitive we are. To find out how much you could save, get your own quote now - we'll even call you free! Male, 21, NR1, 2 SP30 convictions. Our policies for younger drivers are already amazingly cheap, but you could save yourself even more money if you follow our simple tips for getting the best possible premiums. For younger drivers that will mean a saving of hundreds, or even thousands of pounds. Will you only drive a few thousand miles a year? Tell us, so we can get you onto a limited mileage policy. We also have special policies for show cars. If you've passed your test recently, get yourself a PassPlus or IAM qualification and we can knock 25% - usually hundreds of pounds for teenaged drivers - or even more off your premium. These schemes give the novice driver additional skills and have been shown to vastly reduce the likelihood of accidents involving drivers who have taken it. And that means cheaper insurance. Got mods? Make sure you tell us about all modifications to your vehicle, even if they don't enhance performance. Some mods might even reduce your premium. Most importantly, you will also get like-for-like cover on all your upgrades, so you won't have to fork out again if you need to make a claim. If you've been riding a moped, scooter or other motorcycle, we've got some great news for you - we can now accept motorcycle no claims bonus for use against car policies. Spent thousands bringing your ride up to scratch? We can assess your car and agree cover for its true value, so you won't get a nasty surprise if you need to make a claim. We can even offer agreed valuation over the phone in many cases. Are you in an owners club or online forum? If not consider joining one. People who are enthusiastic about their car and learn all they can about it will take better care of it, which is why you could get an extra discount of up to 15%. Do you go on rallies or meets? Track day cover can be arranged as needed on many policies. 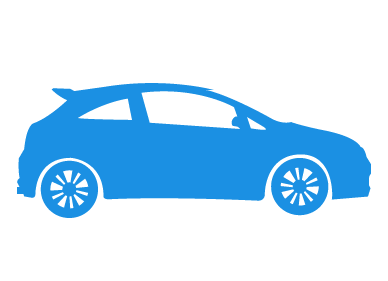 Even if your car is not particularly out of the ordinary, our brokers can still save you money. Because our staff are used to finding a policy to suit unusual and even completely unique cars and motorbikes, they know which insurers offer the best policies and at prices to suit almost any budget. Available on certain schemes. ** Sample quotes are for premiums as stated covering drivers with a clean license and full No Claims Bonus (unless stated otherwise). These illustrative quotes, valid as at 28/04/2006, are provided for information only and do not form the basis of any contract or tender. Policy excesses differ, dependent on risk and scheme.